When you plan to hire a builder, it's not surprising that you will have questions. You might even have a lot of them, especially if you've never hired someone to build a home before. But what should you really be asking? What are the things that you absolutely don't want to forget? Here are some of the most important questions to ask your builder, so you can choose the one that's right for you and have the peace of mind that comes along with that. How many years have you been in business, and how many homes have you built during that time? This is a very important question when you're getting a custom home, whether you’re in Greater Houston or the Texas Hill Country. You may not want to hire builders who just started last week and hasn't completed a home yet. They may be great, but you don't have anything on which to judge. At Kurk Homes, we have been in business for over 30 years and have built several hundred homes. So you know what you're getting. You can see our model homes, along with the homes under construction, to help you decide whether we're the right fit for you. The State of Texas no longer requires builders to be licensed, but when it did, we were. We are very heavily insured, just in case anything should go wrong. While we feel very confident in our abilities and the quality of our work, we also understand that things can go wrong and accidents can happen. Having proper insurance protects everyone in the process, including us, our subcontractors, our clients and more. Do you build only from your own plans, or can I supply my own? We generally build homes from our own plans, and we have a large number of those plans from which you can choose. We can also help you choose from the vast amount of Southern Living home plans. But if you have a house plan you really love, or an existing plan that you want to make changes to before construction, we can also help you with that. In short, we can build any home, any way you want it. By working with us, you'll get a builder you can trust to get things right, and you can feel confident that your home will look and feel the way you expect it to. Who is overseeing my home's construction, and whom should I contact with questions? There will be a construction manager, who we refer to as your builder, overseeing your home. We have several builders, and they each work on only a set number of projects at once. That way, they can keep the process moving forward for each client and make sure everything is being done right and on schedule. But you can ask anyone at Kurk Homes if you have questions. We work as a team, and we're proud to keep it that way. If you ask one of us and we don't know the answer, we'll find out and get back to you. You can expect your home to take a total of 12 months to complete. Nine of those months will be taken up with the actual construction of the home, from the foundation to the finishing touches. The other three months involve permitting, engineering and pre-construction systems that have to be worked with and applied correctly. We want to make sure all of the i’s are dotted and t’s are crossed before AND during the build so that our homeowners can take pride in the home we built for them. Can I visit my home during construction, and how often? You can absolutely visit your home during construction, and you can come by and see it as often as you like. We don't limit site visits, because we understand that it's your home, and you want to see what's going on with it. Some people are very involved in the process and have a lot of questions, while others stop by less often and just want to see if something major has occurred that day. Either way is fine with us, and we never want clients to feel like they're bothering anything by stopping by to see how their home is progressing. Just please note that safety is paramount. In an active construction site, it is imperative to exercise caution and restraint, thus children and people who may be unsteady on their feet are not recommended to visit without close supervision. 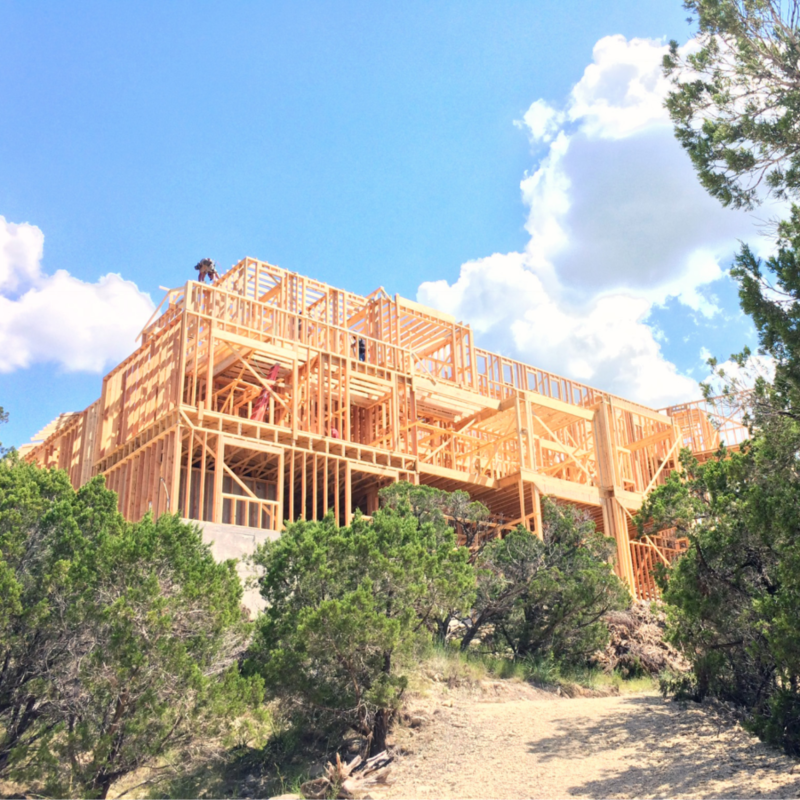 At Kurk Homes, we are #BuiltOnTradition and have been designing and building from the Gulf Coast through the Hill Country for nearly 30 years. Feel free to get in touch with us and ask us plenty of questions before choosing us to build your beautiful new home.